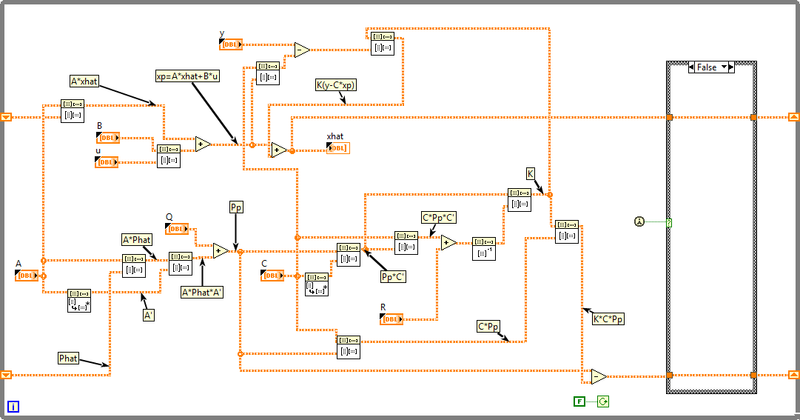 I have implemented Kalman filter using LabVIEW 2016. You can find the codes here: http://kataauralius.com/index_files/Kalman_filter_in_Labview.html. Hopefully this is useful for those who struggle with the implementation of Kalman filter in realtime system.